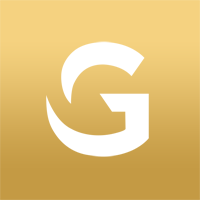 Goldcom Marketing is a Newport Beach based digital agency specializing in Branding, Digital Media, Content Creation, Advertising, SEO, SEM, Social Media and Websites. We are small in numbers but mighty in our capabilities, powered by some of the most talented creatives on the web. We provide Golden Communications! What exactly does that mean? We help give brands the image that they deserve and we do so with clear, concise and effective communications. We listen to our clients needs and we build digital products that solve problems. We find out who they are, what their business offers and who their target audience is. From there we audit their websites, social media outlets, creative content and their current ROI. We provide strategic plans to empower our clients messaging, we polish their brands and we drive massive traffic their way. We do this with proven methods of targeting advertising and customer engagement. We've grown businesses from start ups to $20M in revenue in the fields of Consulting, Healthcare, Government, Gift and e-Commerce. We at Goldcom Marketing know that finding the right creative agency to represent you and your business is a partnership that needs to feel comfortable. That’s why we offer free consultations to walk you through your needs, the scope of your goals, and your budget.